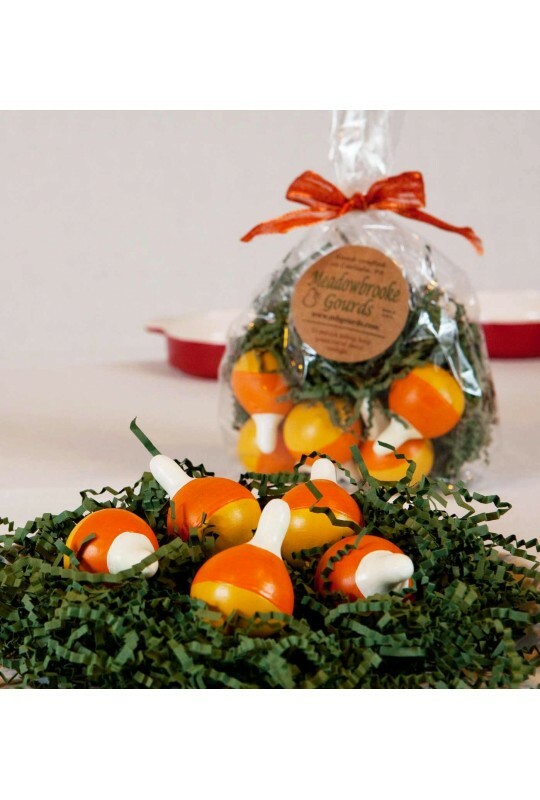 These candy corn gourds are colored yellow, orange and white. They are great to display with your fall decor. 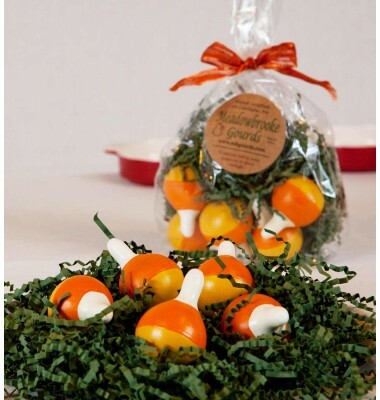 A bag of five candy corn gourds with dark green crinkle paper included. Because these are natural products every gourd is unique and may vary somewhat in shape, size and color.